Like a potato that has received too much rain, Damon Walsh quickly outgrew his hometown of Ireland. With nothing but his records, 1210’s & an unbridled enthusiasm he joined the first fleet – setting sail for the fair shores of Australia. Not knowing what to expect when he arrived, he spent his first weekend in Melbourne at Revolver and knew he was home. As a DJ, Damon’s versatility could be likened to that of a potato, he can mash/bake/fry/steam/boil tunes like few others. With almost 20 years’ experience in the industry there aren’t many genre’s that have alluded him. Nowadays you’ll find him playing mainly deep house and techno – but don’t be surprised when he throws an old spanner in the mix. He is predictably unpredictable! Often taking unwitting dance floors and paddocks on glorious journeys. Also keeping himself busy heading up Events and Promotions for Thick As Thieves, it’s amazing he finds the time to play! His sound is as unique as his laugh! His friendly approach to music easily transfers from the dance floor to the bar. Not one to break a stereotype, this leprechaun is no stranger to a barstool. Many young DJs owe their careers to the great man – with him regularly taking chances on young’uns who share his passion and love for all things house music, the industry and potatoes. 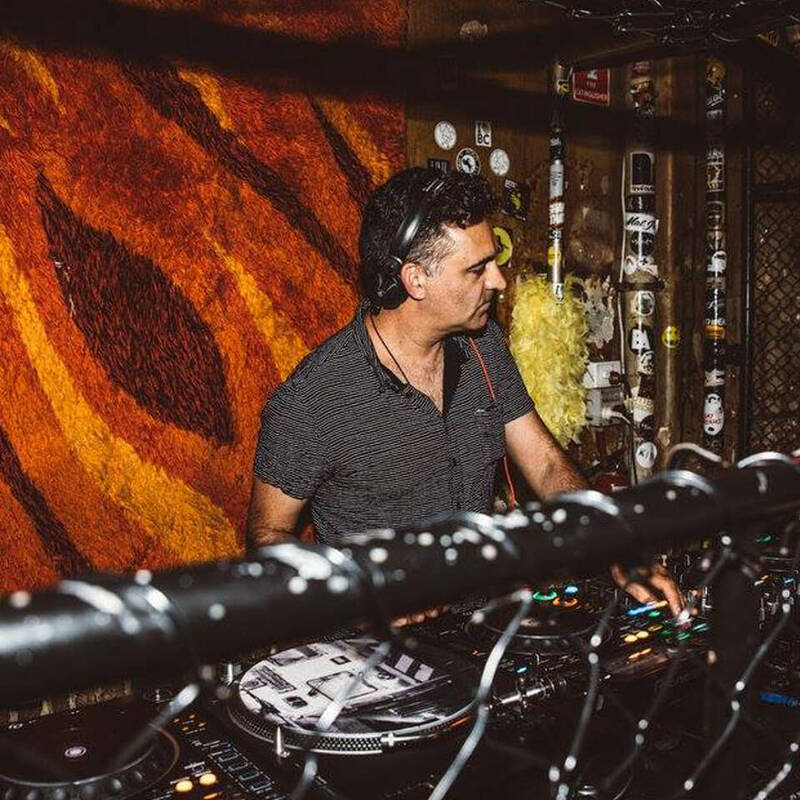 Damon has achieved what many aspiring DJs dream of – holding down residencies and regularly appearing at some of Australia’s finest clubs and festivals. • The girls ‘Dunny Disco’ at the now infamous Honky Tonks closing party. Spend 5 minutes listening to and watching Damon play and it becomes evident he loves what he does; his unbridled enthusiasm transforming dance floors for across the galaxy for decades.